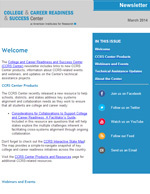 Find products from the CCRS Center that are practical and research-based to support states with implementing college and career readiness initiatives. 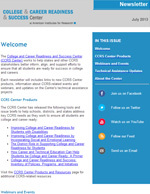 Our products include reports, briefs, fact sheets, guides, and tools on topics varying from lifelong learning skills, career pathways, and measures of college and career readiness. This resource includes guiding questions and key considerations designed to help states explore the complex challenges inherent in facilitating cross-systems alignment through ongoing collaboration. Each question borrows from the systems research base derived from within and outside the field of education. The key considerations that accompany each question are designed to help users frame their own efforts within the conditions that the research base links to collaborative success. 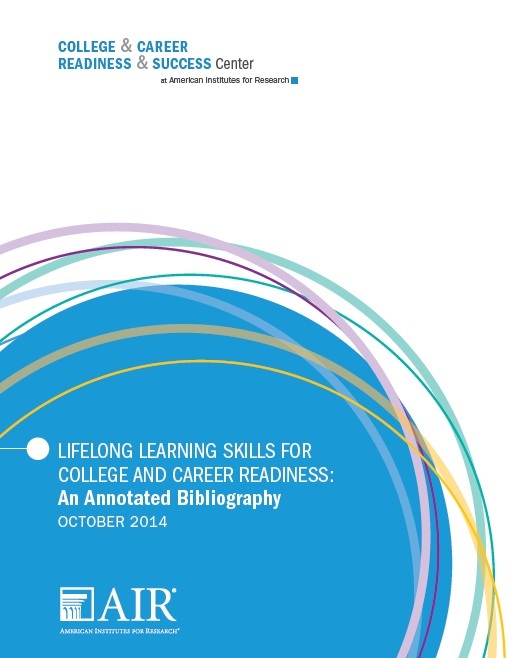 This brief catalogs accelerated learning options that are currently being implemented and highlights efforts made both within and across secondary and postsecondary education. An education system that is responsive to the needs of all students must provide students opportunities to move through secondary and postsecondary education at an individualized pace that meets their needs. Accelerated learning serves as a promising tool to provide such opportunities to students. ﻿﻿This issue brief was written to assist state policymakers in better understanding how social and emotional learning (SEL) can help students to be college and career ready. The brief provides a short description of what SEL is, why it is needed, and what it looks like in practice. In addition, examples of standards that support SEL at the federal and state levels, current SEL initiatives and programs, and outcomes and measures that can be used to assess SEL programming are described. As school systems across the country recommit themselves to ensuring college and career readiness and success, they must rely on districts to translate federal and state policies into the local context. 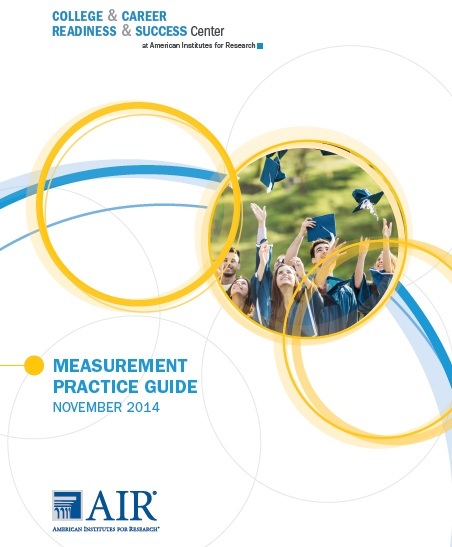 This brief builds upon recommendations from a 2009 Institute of Education Sciences (IES) Practice Guide that describes evidence-based practices that promote postsecondary access for high school students. 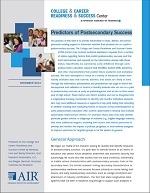 If educators and policymakers are to make good on the national commitment to graduate more students from high school prepared to face postsecondary challenges, schools must continue to improve career technical education (CTE), ensuring that students have access to high-quality pathways to success. This brief provides an overview of the evolution of CTE in the U.S., reviews what CTE looks like in practice, and highlights issues CTE faces in the field that must be overcome for it to become an impactful and wide-reaching strategy for preparing students for postsecondary success. This fact sheet offers findings and statistics on the current status of high school graduates' readiness for life after high school. It highlights some of the challenges and opportunities facing high school students after graduation as well as some of the consequences and implications for America’s underprepared graduates. 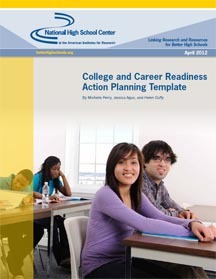 This brief, the third in the College and Career Development Organizer series, summarizes the pathways and supports of college and career preparation that have been collected and organizes this information into three key threads: 1) Personalized Learning Supports; 2) Rigorous Programs of Study; 3) Aligned Resources, Structures, and Supports. Along with a brief description of each thread, key components are highlighted and examples of each type of pathway and support are provided. 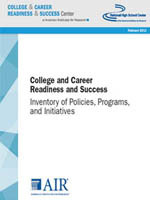 This brief, the second in the College and Career Development Organizer series, summarizes the goals and expectations of college and career readiness that have been collected and organizes this information into three key threads: 1) Core Content; 2) Pathways Content; 3) Lifelong Learning Skills. Along with a brief description of each thread, key components are highlighted and examples of each type of goal and expectation are provided. 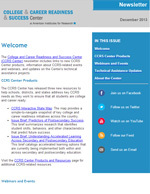 This brief, the fourth in the College and Career Development Organizer series, summarizes the outcomes and measures of college and career success that have been collected and organizes this information into three key threads: 1) On-track indicators; 2) Attainment and authentication; 3) Accountability and improvement feedback. Along with a brief description of each thread, key components are highlighted and examples of each type of outcome and measure are provided.